Today, almost every business embraces an online presence that is optimized for mobiles to ensure their reach to a wider audience base. This has substantially created a lot of work load for web professionals, as they need to expeditiously deliver outstanding results that can let businesses boast unique and impressive web presence. Fortunately, with the advancement in web technology, there is a slew of excellent tools that can help web developers to stay productive in their work without compromising on the quality. This post will uncover some marvellous tools that every web developer must know, as these can help them boost their performance and have an edge over the competition. Let's distil a few of the amazing tools for accomplishing web development task with a breeze. If you need any type of vector images, illustrations, or any other vector art piece, Freepik makes a fabulous choice. It offers a gigantic collection of amazing vector art that too for free. Since, everything is kept in a well organized and uncluttered way, you can easily find a desired option. However, the huge list of options available there might make it hard and time consuming to streamline your choice. The ExpressionEngine is a wonderful content management tool that beautifully separates the web content from the design. It, thus, facilitates one to showcase the content in a desired manner and on desired location. This tool is flexible enough to work efficiently with any kind of website from eCommerce to a personal blog; it is custom made to support any niche business. Moreover, it is absolutely simple to install and use, even individuals with no technical knowledge can also operate this extensible tool. The huge community support further adds to its credibility, so whenever you feel that you get stuck and don't know how to proceed, you can reach the community; there are several experienced professionals and individuals who can help resolve your web-related issues. Play Framework is a prolific web framework that supports rapid web application development with Java and Scala. To work with this framework, only a text editor and browser is required. It includes resourceful testing tools, and also displays the outcomes corresponding to the amendments made by you by simply clicking on refresh button. Built on Akka, this framework consumes minimal resources, and delivers highly scalable web applications. While supporting a plethora of useful Java libraries, and compiling and running apps on the JVM for quick performance, it ensures responsive web apps that can run seamlessly on any device. Now, you can easily learn and understand how your website is perceived by your web as well as mobile users. All this is possible with this awesome web development tool. It comes complete with features like Heatmaps, and offers you the appropriate analytic result to help you proficiently improve the usability of your site. You can scour and analyse the elements that grab your viewers' interest, as it offers insights of your visitors' behaviour (including number of taps, click, scrolling and so forth) while interacting with the website. Today, adding captivating graphics in a website can enhance its look and feel, which has become quite essential nowadays to stay ahead of the competition. If you want to grab your viewers' attention, animations can definitely help you achieve your goal with ease. The HTML5 Maker is one of the most recommended online tool that facilitates one to efficiently generate animated multimedia content. Whether you like to have an impressive sliders or banners, this blissful tool can cater to your needs. The best thing about this tool is that it doesn't even require design and development skills. It comprises several resourceful features, including Online Image Editor, Online Animation Editor, built-in templates that help generate innovative web solutions. The animations generated via this tool are compatible with Google Double-Click and Google AdWords. Moreover, these animations can be shared with others as templates. Cygnite is a new toolkit designed to augment the development of full-featured web applications. This elegant and effective framework delivers ultimate performance and allows professionals to create exquisite and feature-rich web solutions with ease. It features clean and legible syntax, which makes it extremely convenient for one to proficiently develop the code. This PHP framework is power-packed with an array of useful features, including Code Generator, ActiveRecord, Container, Finders, RESTful routing, Schema Builder, and many more. The integrated Composer tool facilitates one to incorporate a desired third-party plugins into his web application. Cygnite 1.3.1 is the small footprint; however, its major update Cygnite Framework 2.0 version will be available soon with tons of awesome features. I don't think Google Fonts needs any introduction, most of you might have been already using it. This list would have been incomplete without including this tool. It is basically Google's font library that offers a great list of web-compatible fonts. You can search any font that best suits the look and feel of your website. Today, it has become more than imperative to make your website stand out with an impressive appearance and valuable functions. This ultimately adds to the web developers' job. If you are a web professional and seeking cutting edge tools that can augment your performance and help deliver an invaluable web solution, go through the aforementioned list of tools. I hope this list will surely heighten your business success while making your life much easier. Victoria Brinsley is a skilled Android app developer for Appsted Ltd - a outsource Android app development company. You can explore more about the development tips and tricks by clearing your queries with her. Last article was about the Unerring Tips for High Performing WordPress Themes you may like to read out. Fortunately, AngularJS is a brilliant framework that has an edge over its competitors. It embraces a set of resourceful tools that have been incorporated after ensuring their smooth and flawless performance. Although one needs to have proper insights into the framework and get the requisite expertise to reap its benefits, there are several outstanding advantages that make it a much sought after choice. This post will unleash a few worthy benefits of AngularJS. The most common cause that add to the bounce rate of a product is its loading time. If your application consumes a lot of time to load, most of your users will certainly prefer abandoning your app. Thus, it is better to scour the impact of a framework on the loading time. This can be proficiently analyzed by taking the framework size and time taken by the framework for bootstrapping into account. AngularJS consumes ~50 KB, and allows professionals to develop beautiful, feature rich applications with a flair. You can create dynamic interfaces for your web apps, as AngularJS allows one to extend the definition of HTML. This certainly makes it easy to tweak the UI design in a suitable manner and create a desired look and feel. The framework offers a list of various UI elements and ensure that all of them work seamlessly when integrated in a design. This adds to the agile app development, and delivers fabulous apps with an impressive UI design that are sure to enhance the UX. Programming for AJAX and DOM is not a child's play, but it definitely an arduous task. However, while working with AngularJS, the code becomes much organized and uncluttered that helps you efficiently manage the development of CRUD apps. The framework offers a better conceptualization to deal with it in a precise way while creating applications. AngularJS brilliantly manages dependencies, though the dependencies are not completely eradicated. The integrated massive grid facilitates one to streamline multitasking and testing while keeping the risk to crashing at bay. Loaded with a whopping number of useful functions, AngularJS offers valuable features without demanding lengthy codes. Here are a few of its incredible functions. It completely handles the MVC pipeline. You can support a required data model by writing only a few code chunks. You can implement HTML to create a desired view. By the virtue of filters, you can easily tweak the data in a desired fashion without affecting the controller. You won't need to tinker the code in order to manage the directives, as they can be handled in another way. All these blissful features of the framework make it absolutely convenient for one to generate a high end application with just a simple and precise code. Although developing a single page application (SPA) is a daunting task, it has incessantly garnered a great popularity. By implementing the AngularJS framework for the same, you can proficiently create a high quality single page application, while ensuring a responsive design. This further facilitates an app with smooth and consistent performance that amazingly adds to a better UX. Moreover, as these kind of apps are rendered on the client side, it dramatically reduces the network traffic and further improves the loading time. The framework is jam­packed with resourceful templates, routing, and more features that facilitate one to develop highly functional apps. The significance of testing cannot be overseen. One must test his application before launching it in the market. This helps one to ensure its flawless performance and deliver an impressive app that can compete with the fierce competition out there. AngularJS framework has been developed while keeping the testing into account. Understanding the proliferation of mobiles and the fact that app testing requires a lot of precision, the framework is powered with powerful services to deliver an astonishing product. I am Savy Nacion, working as a technology specialist in Markupcloud, HTML to Wordpress Service company, based in Rochester, New York. With over 10 years of experience in the technology domain, I aim at bringing new and innovative technology solutions to the company to help it keep thriving in the industry. In the last article we discussed about "Advantages and Disadvantages of Ecommerce Business". This is what we call insanity. If you think that you are doing everything right but the desired result is still awaited, then you need to go back, test and then optimize your policies. We all have been ranting and raving about responsive themes, but we never dared to look beyond it. In this blog, we will discuss how to get high performance from your WordPress themes. Choosing the size of a responsive web theme matters because it affects the end users as well as the web servers. Due to heavy weightage, server needs more time to get extra file and with each such file, extra milliseconds are added in the loading time. On the other hand the user have to wait till the total number of kilobytes are loaded. Apart from using Media Queries various WordPress themes now use several other techniques to respond to the browser's. Does your project needs a mobile development? With the proliferation in the mobile devices it is highly unlikely for business owners with up to date market knowledge and trends to say no to mobile first technology. However, one cannot go on for adopting all kind of technological development. Though, earlier we had a choice for adopting mobile designs, but now with the advent of Google's algorithm it becomes crucial. How many steps do we need? Performance of a responsive website depends highly on the screen it is viewed on. Responsive design does not mean that the screen should adjust on the mobile devices such as tablet, phablet or smartphones, wherein responsive means that your website must be fit to wide screen sizes. The best option is follow device-agnostic approach which focuses on web design instead of device functionalities. Do you understand the layout and formatting of the responsive pages? In order to craft a successful layout you need to display the elements one by one. Now, when it comes to wide screens we must make sure that the headings must be larger than the content, whereas when it comes to smaller screen the ratio drastically changes. How to tailor your application for mobile devices? Displaying content via multiple columns needs a particular hierarchical flow, as each page comprises of its own unique content and secondary content is the one which is displayed on more than one page. This content approach is difficult to follow while designing for mobile screen. You need to ensure that you need to remove the irrelevant content from the mobile screens. On contrary if you think that you need all those pages then draw out a proper methodology such as long scrolling to display you content. Further, as per thumb rule the elements which do not supports the title of the page is not the primary content. Now after all the detailed analysis and study you have finally chosen a WordPress theme and have decided on the content placement and stuff, do not think that you have accomplished your goal. The next step is to know whether you did it right and is your website well accepted by users. There are numerous tools present in the market to gauge the performance of a website. However, you can count on Google Page Speed and for second choice keep Gtmetrix for analyzing the current performance of your website. 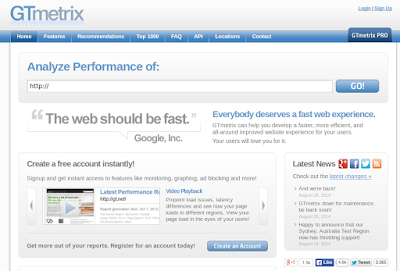 With 7 Google Page rank and Alexa rank 11, Gtmetix serves as an incredible tool for analyzing your website. Along with page speed results this tool uses YSlow ( a tool from Yahoo for measuring performance). Do not worry as you do not have to do much and all you need to do is to enter the url of your website to get a comprehensive performance report. Further, it allows comparative analysis for a healthy competition. One can certainly meter the performance of their website, however this leads to the crux: how to improve? With a wholesome development of community existing for more than a decade have found solution of this unnerving questions. We have plugins namely auto optimize, WP Super Cache and several other which can work as a performance booster for your WordPress website. These plugins are easy to install and ready to use which have the potential to ameliorate the performance of a poor performing websites. 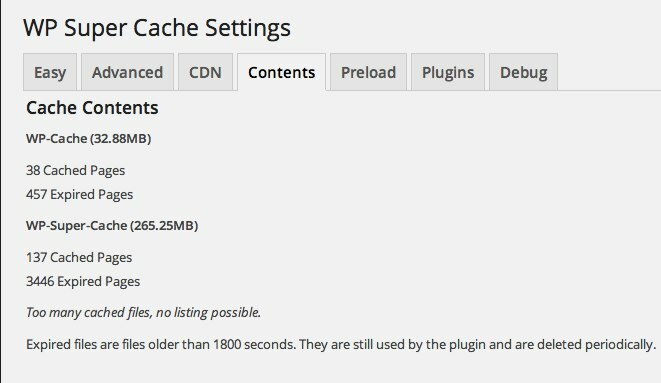 Caching works as a performance booster! As we know that every time a user enters a website, content is fetched from the server and then displayed on the browser. In case of static resources the data will fetched every single time a user visits the website. This is certainly not an optimal technique, as the server has to do a single task over and over again. 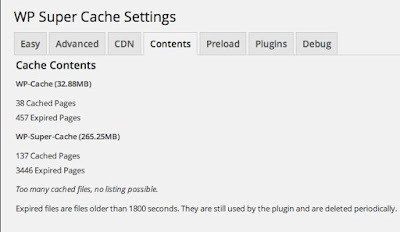 In order to optimize this functionality we have well engineered plugins such as WP Super Cache, which ensures that the users get to access the cached website which removes the unnecessary loading of content again and again. I hope this might help you! The long and short of the complete article is that we need to pull up our socks in order to do reach another level of web development. There are a lot of optimization techniques for WordPress which one can harness to provide top notch solutions. I am Savy Nacion, working as a technology specialist in Markupcloud, PSD to Wordpress conversion company, based in Rochester, New York. With over 10 years of experience in the technology domain, I aim at bringing new and innovative technology solutions to the company to help it keep thriving in the industry. Get Subscribe to Free Email Updates! !